Thank you for visiting one our of exclusive listings and feel free to visit us online and shopaffordableautos.com Stylish and fuel efficient. It's the perfect vehicle for keeping your fuel costs down and your driving enjoying up. This is the one. Just what you've been looking for. This vehicle won't last long, take it home today. More information about the 2017 Chevrolet Sonic: The subcompact segment seems to get larger by the year, and the 2017 Sonic faces stiff competition from established players like the Ford Fiesta and Honda Fit. With its nimble chassis and turbocharged 1.4L engine, the Sonic offers a spirited driving experience its rivals can't match. Sedan or hatchback body styles also give it the edge, and with a low entry price and plenty of convenience options just a click away, the Sonic stands out as a real bargain for shoppers on a budget. 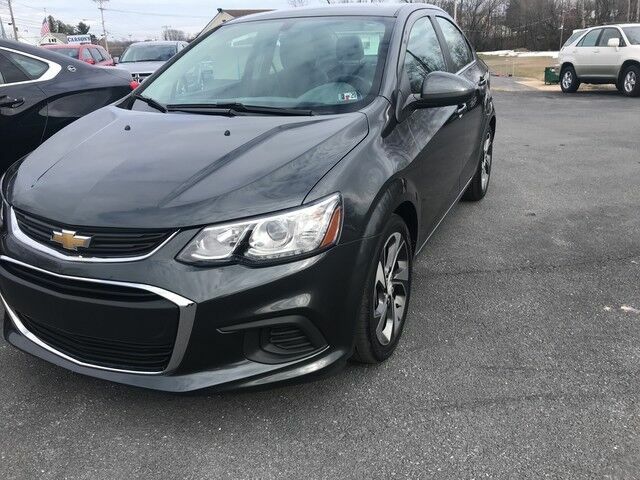 Strengths of this model include fuel efficiency, nimble handling, Aggressive styling, available turbocharged engine, and sedan or hatchback body styles Visit us online at www.shopaffordableautos.com for additional photos and other vehicles or call us directly at 717-709-0555.